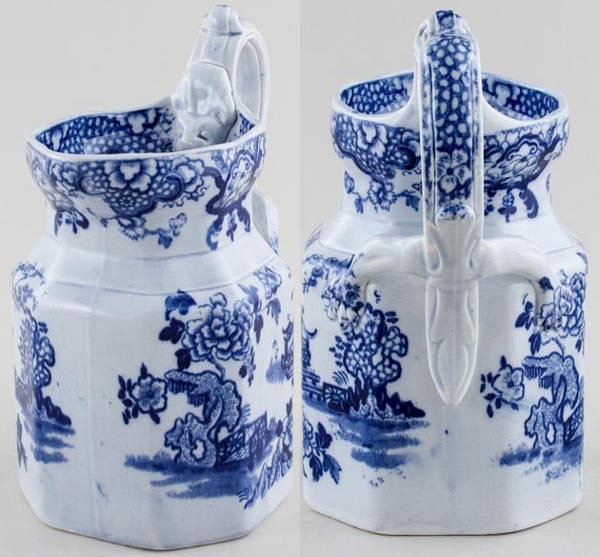 A fabulous jug, the top of the handle where it joins the jug is an animals head and the base are the legs and claws. Backstamp: Kaolin Ware Chinese. Light all over crazing with a little minor discolouration under the foot otherwise excellent condition.